One of the happiest memories twelve-year-old Sophia Wallace has is of her tenth birthday. Her mother made her a cake that year—and not a cake from a boxed-mix, but from scratch. She remembers the way the frosting tasted, the way the pink sugar roses dissolved on her tongue. Sophia has never told anyone about her unusual memories—snapshots of a past that never happened. 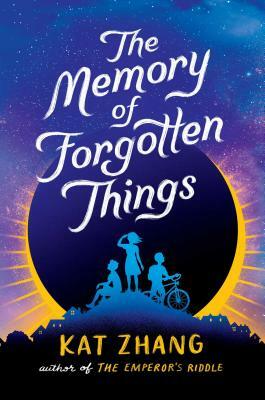 But everything changes when Sophia’s seventh grade English class gets an assignment to research solar eclipses. She becomes convinced that the upcoming solar eclipse will grant her the opportunity to make her alternate life come true, to enter a world where her mother never died. Kat Zhang loves traveling to places both real and fictional—the former have better souvenirs, but the latter allow for dragons, so it’s a tough pick. A graduate of Vanderbilt University, she now spends her free time scribbling poetry, taking photographs, and climbing atop things she shouldn’t. You can learn about her travels, literary and otherwise, at KatZhangWriter.com.